I was told early on, that winning the Green Beret is only the beginning of the Commando story; that you can only start to become a Commando when you have acquired the skills to operate in the four key terrains a Commando might have to fight in (Mountain/Artic, Desert, Temperate and Jungle). I was reminded of these words when digging snow holes in Norway and when carrying out cliff assaults in the Deserts of Jordan. The final piece of my Commando development would be to become adept in the art of jungle warfare. We’ve all seen films like Predator and Platoon, and up and until now this was my only knowledge of “the jungle”. Watching these films made the jungle look daunting, at least from a soldier’s perspective. Section members have difficulty seeing each other, so can’t easily coordinate fire and movement. Directing fire on targets hidden by thick foliage is a significant challenge. Weapons, which in other circumstances can fire accurately for hundreds of metres, are much less useful when you can only see a few metres in front of you. And if you are operating in a mountainous area then visibility is further restricted by the frequent mist and heavy rain. These problems are compounded as all movement becomes greatly slowed. So to maneuverer an attack force proficiently in the jungle requires high levels of training. I should point out that we were not acting in our Engineer role and that we were to be integrated into a Commando Rifle Company, of 45 Commando. 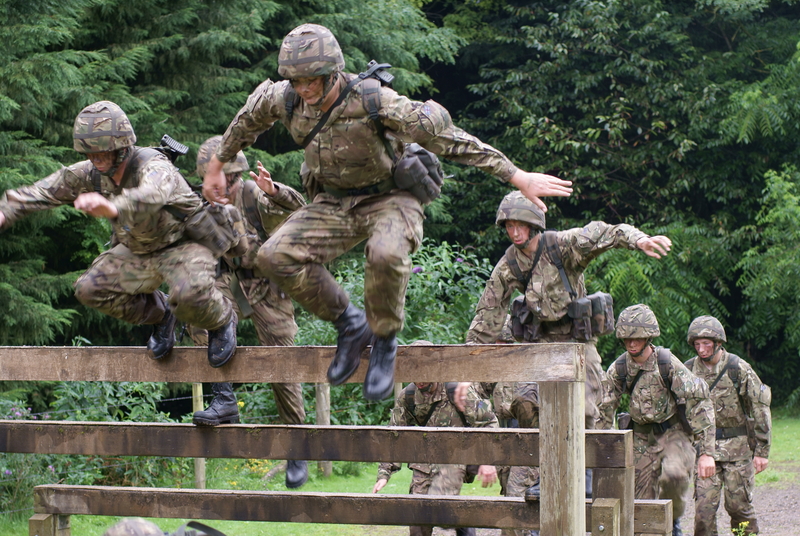 There is always a fair bit of banter when we first start working with Royal (Royal Marines) but when they see that the Sappers can match or, in many cases, exceed them in terms of skills and fitness, they soon develop a healthy respect (although they wouldn’t admit it) which sees the difference in cap badge become a matter of irrelevance. 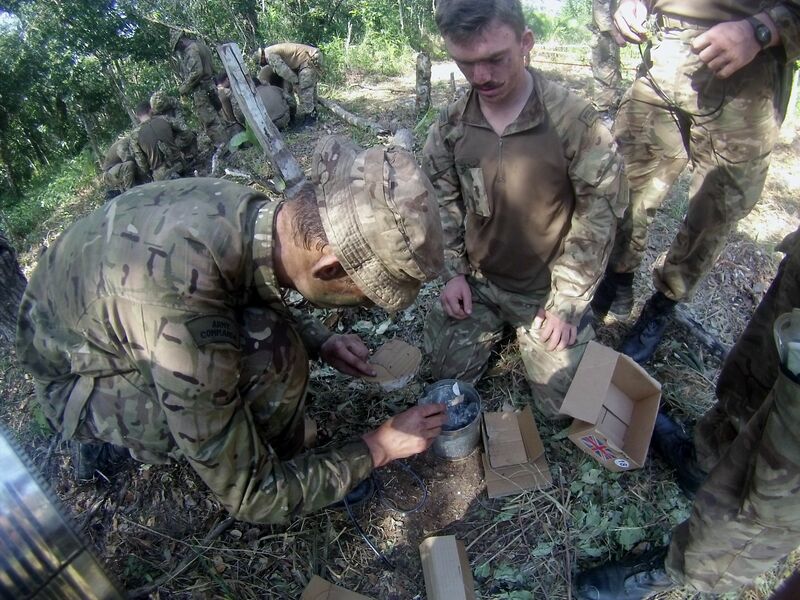 It is training such as that undertaken on Exercise Curry Trail that makes interoperability among the various 3 Commando Brigade elements work so well. As we awoke to our first morning in the jungle, the heat and humidity hit us hard. We had been warned about it but nothing quite prepares you. Yes there were tropical bird singing in the trees but there were also a host of villainous insects that saw us as a source of food. We attended a briefing on the itinerary for Exercise Curry Trail and what we could expect from the jungle. The list of potential dangers was long, ranging from snakes and ticks to trees with sap that could blind you. However none of the lads seemed particularly concerned as we were all looking forward to getting stuck in. We had a little respite so we could gather ourselves and then it was straight into lessons on the vital skills needed to survive in a CCTE (close country tropical environment). Over the next few days we woke up at 5:30 to smash some phys (physical training) and then a breakfast of rations cooked by the Royal Marine chefs. In the morning we had theory lessons on the effects of operating in the jungle environment and then practical sessions in the afternoon. The practical sessions focused on radio use among the trees, river crossings and patrol techniques. We trained contact drills and casualty evacuation with full-scale kit Bergens, webbing and our weapon system – of course. 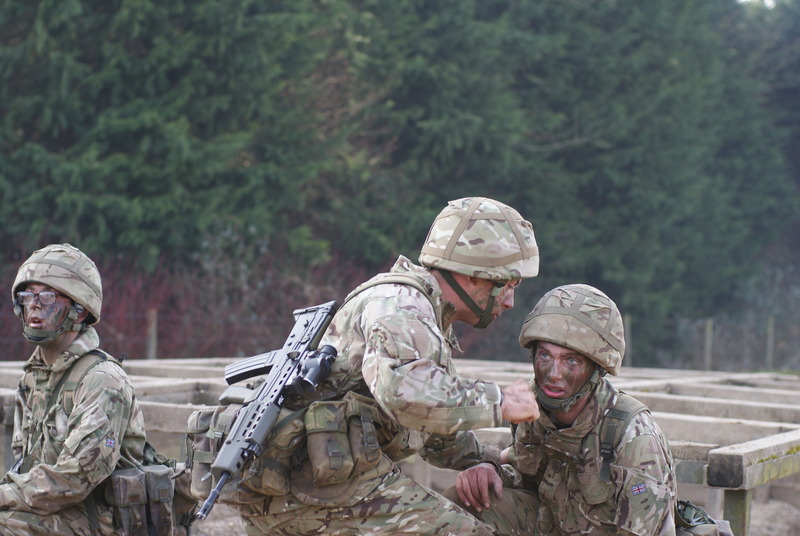 Throughout all of this the heat was bearing down and the ground underfoot was quickly becoming a marshland, however this kind of adversity makes an Army Commando feel at home, so we got stuck into the practical’s with gusto. The day before we went into the field we were given another dangerous animals brief at the Belize Zoo. The zoo staff provided a comprehensive lecture about snakes and then took us to see some of the other animals we might come across in the jungle. It was marvellous to see jaguars and pumas up close; such magnificent creatures. 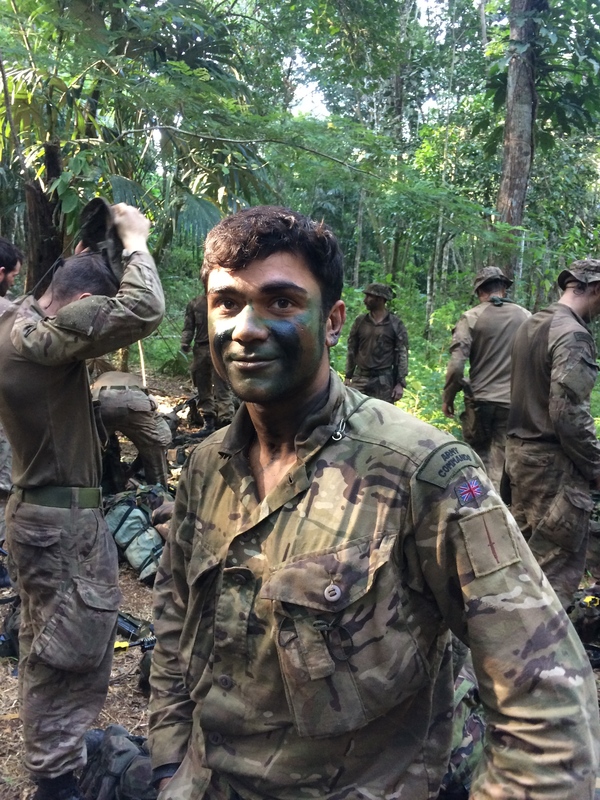 When we returned to the barracks we did a final equipment preparation and the anticipation was building, we were all eager to get under the canopy and experience the jungle for real. Then came the time for us to depart; we boarded our transport and were waved off by the friendly locals. I must add at this point, the local people were a very accommodating and kind people, and appeared to hold us in warm regard. Our first day in the jungle focused on CTR (close target reconnaissance). It was the first time we experienced the weight of the Jungle Bergen as we yomped in the heat of the midday sun, in order to conduct a CTR on a target. The dry leaves and bush made tactical movement difficult, as the noise involved in moving could easily have given our position away. We managed to move stealthily into the enemy position to gain information on their operations and just as silently we withdrew back into the undergrowth. Next was Demolition Day, using improvised Bangalores and Claymores, with frag flying over your head as you lie behind some logs, all the time making sure that the log dwelling critters didn’t decide upon you as their supper. Survival Day taught us the different stances such as shelter building, animal trapping and fire building. The trackers from the Belize Defence Force slaughtered a pig and chicken, in order to teach us how to skin an animal. Then they treated us to barbecued pork and chicken followed by fruits; it tasted better than any Gordon Ramsay effort. After that the sections went off to build a shelter and spend a night out in the wild. Eight of us slept side by side in a shelter that looked slightly different to the ones we had been shown, although they did us proud and kept us alive for the night. Long Range Patrolling was the focus for the next day. We yomped through the swamps keeping a watchful eye for the crocodiles, as you can be sure they are keeping a keen eye out for you! I still haven’t found a page in our Aide Memoire on how to handle a meeting with a big ol’ croc. That evening we had our first wash, which was welcome as the odour emanating from the patrol could only be described as hostile to our olfactory senses. I slept soundly in my hammock that night, as the preceding days training had been gruelling. The next day saw us practicing Live Firing. We started off with CQC (Close Quarter Combat), this involved moving down a lane making contact with targets as they appeared from the foliage. The difficulty of operating in the jungle was immediately apparent, as I was up to my waist in a swamp as I fired and moved on to the next target. Back in our harbour we were “Non-Tactical”, so all around the lads were making use of their newly acquired skills by constructing benches, seats and an excellent door for our head (toilet). 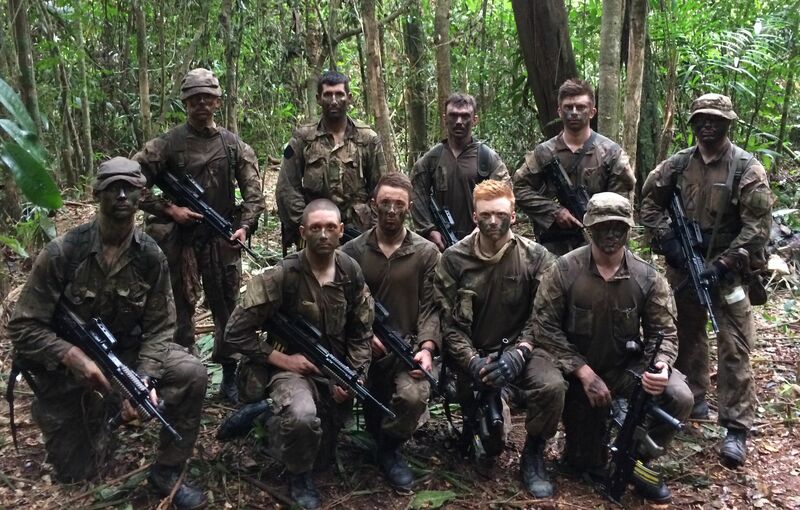 Following on from the previous day, we advanced on to Fire Team Drills, progressing through the jungle until we came across a target at which point we would engage the echelon back out of the danger area. 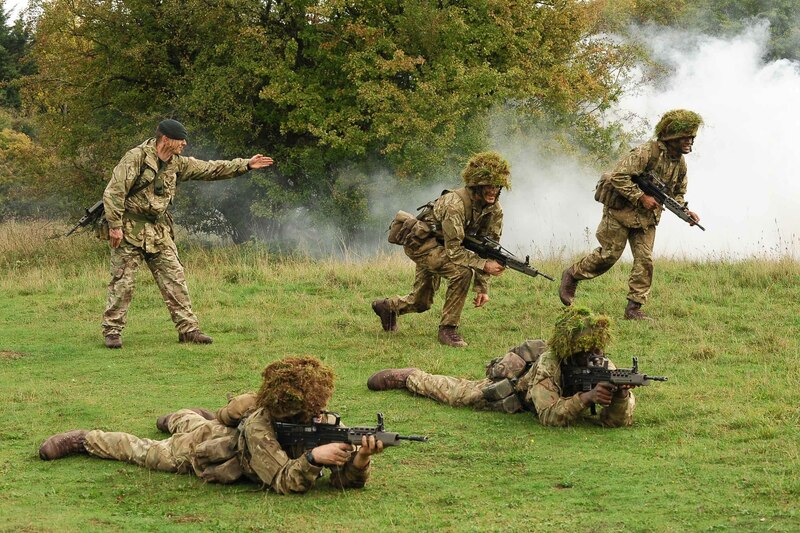 As soon as the Point Man’s light machine gun burst into action, the team would move-out as our drills had taught us. The ground underfoot was some of the worst I had experienced and yet again up to my waist in swamp, with large exposed roots that trapped your boots, to contend with. Nonetheless, we pushed back until it was deemed we were out of contact. After “stop” was called we received our debrief. (I’ve used a lot of technical terms here, but should you choose to become a Commando, then you will know these like the back of your hand). 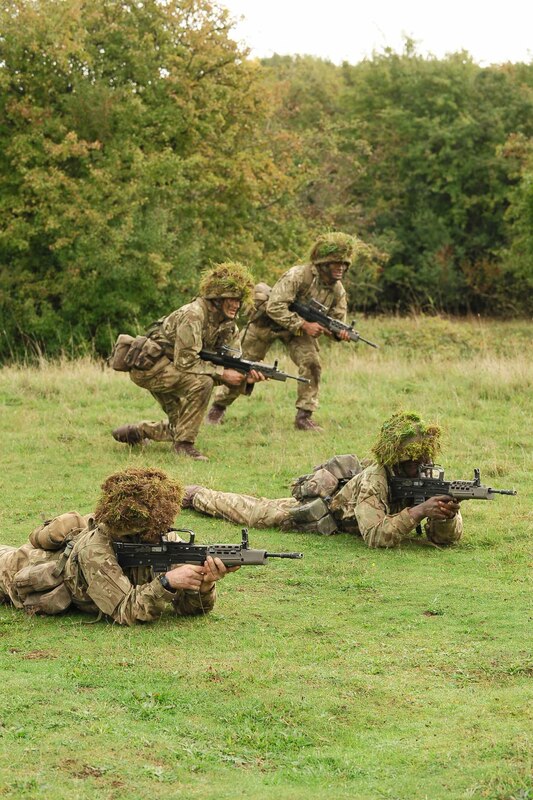 The final element of our jungle training consisted of a section attack on a mock enemy position. We set off on patrol and just off the target the Point Man raised his hand and gave the gesture to fan-out. We moved like ghosts through the trees, synchronizing our movements until we reached our line of departure. We unleashed a torrent of bullets down the range at the Figure 12 targets, then began moving through the position, I was deep in vegetation on the right flank, ensuring that there were no targets in the trees that would represent snipers. Just as the momentum was building we heard the cry “STOP”, so we ceased fire and applied the safety catches to our weapons. I stopped and waited for info to be passed down the line. In the centre of our formation a medic rushed forward to one of the men. 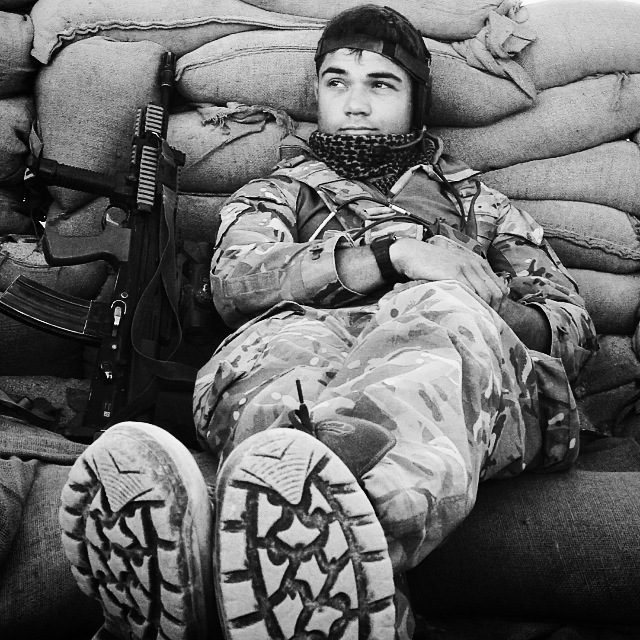 One of our guys had been hit by a tree, the tree was shredded by machine gun fire and had fallen on him. The safety team played it safe sent him off in the military ambulance, in case of any potential breaks (we later learned it wasn’t a serious injury). The remainder of the assault force moved forward to the start of the enemy camp and began clearing the huts. The forward line of exploitation set up an improvised Claymore, then moved back to cover. The enemy advanced and walked straight into the range of the Claymore. With the job done we extracted back through the camp. It was a great experience, which everyone enjoyed. Well perhaps not the chap who got a tree on the bonce. The final week was the final exercise, testing all the skills we had learnt in a fully tactical real time exercise. After deploying, our section were sent to recce a small enemy camp. Later we assaulted it holding it for the following day, then finally moving to support a company scale attack on a 4 kilometre area of primary and secondary jungle. 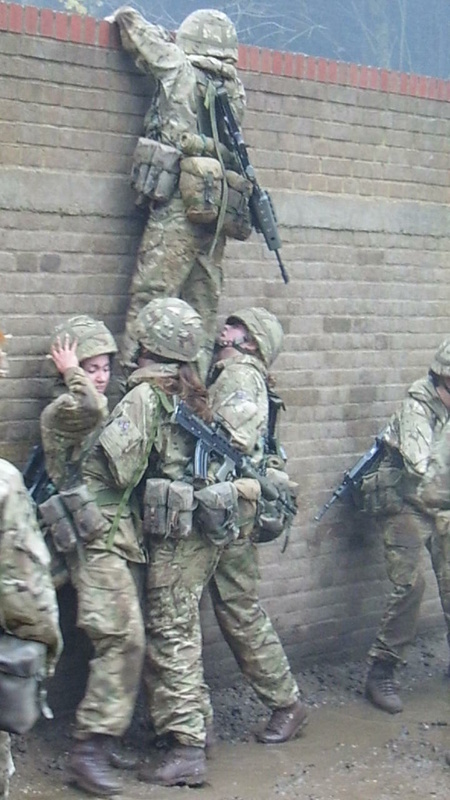 With our troop assaulting down a sheer, dense gradient the going was tough but an unforgettable experience. At the end of the exercise we sat exhausted in good spirits reminiscing at the funny experiences of a few weeks well done. My time with 24 Commando is coming to an end and I can honestly say that from the top down, 24 Commando has in its ranks some of the nicest people you could ever wish to serve with. 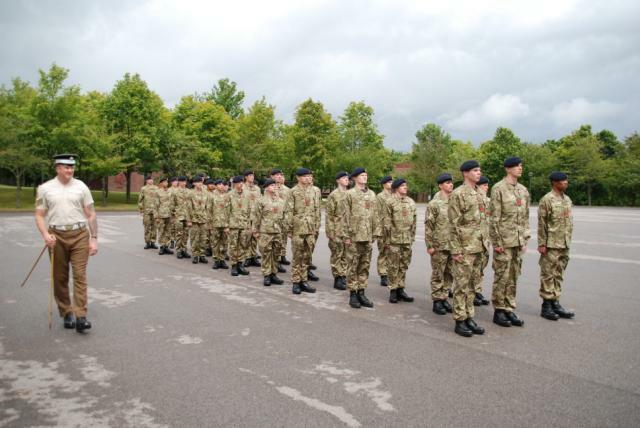 Yes you must respect the rank structure but this respect will be reciprocated and you will be afforded unstinting support in all things you do in the Regiment. If you are reading this and trying to decide upon which Commando Unit to join, then you will be doing yourself a great disservice if you didn’t at least look at what 24 has to offer. 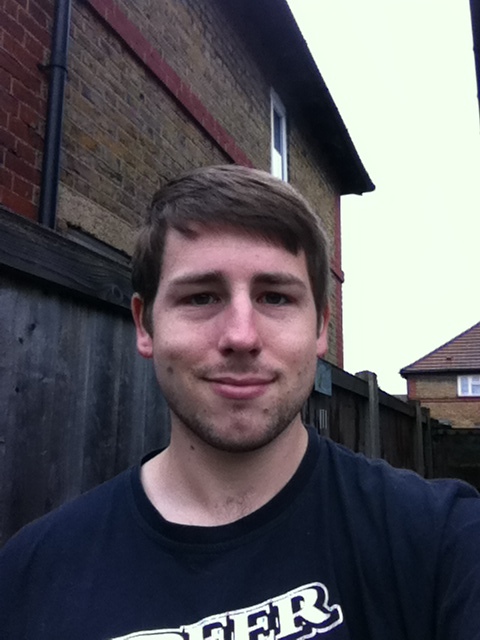 Read more blogs from Sapper Joseph. 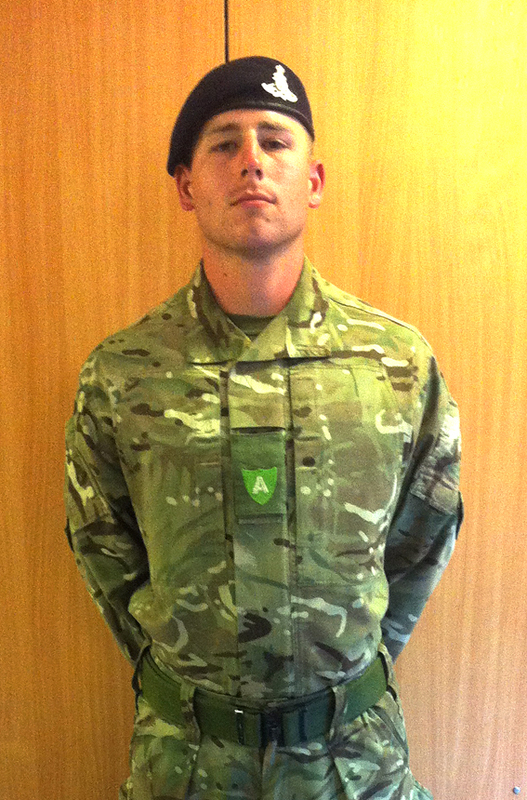 Sapper Eddie Joseph is an Army Reservist with 131 Independent Commando Royal Engineers based in Birmingham. 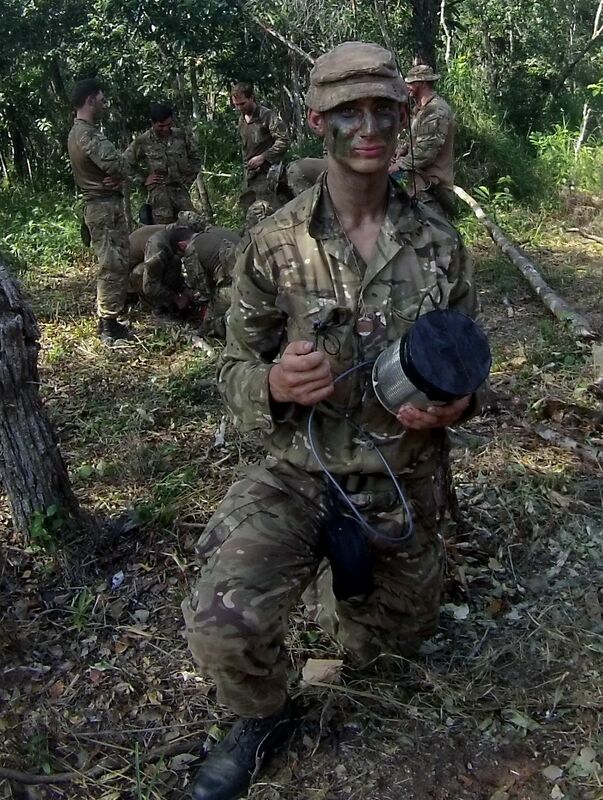 A heating engineer by trade, the 25-year old is currently serving on attachment with 131’s paired regular unit, 24 Commando Engineer Regiment. Sapper Joseph is 8 months into a year-long engagement and has just returned from providing close engineer support to 40 Commando Royal Marines on Exercise Jebel Dagger in Jordan. 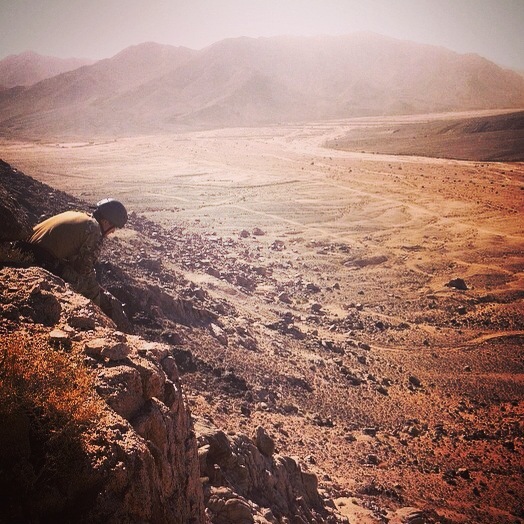 He describes his experiences of desert soldiering in this blog. We reached our desert placement late at night and established a harbour with the vehicles. 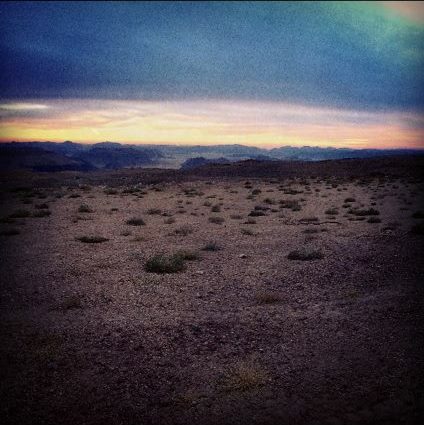 As dawn broke I surveyed the stark, barren landscape that we were to inhabit. The camp had been sited on a flat plain surrounded by jagged, rocky terrain. Gusts of wind blew up great clouds of dust that nearly choked us, and found its way into all our kit. Everything smelt burned and blasted. 0600 reveille and we set about putting up tents for the marines prior to their arrival. Containers packed with supplies arrived throughout the day and night. This work, along with the water tank and force protection, continued beneath the hot desert sun. The temperature dropped dramatically at night and as we patrolled the perimeter our night vision goggles gave the desolate landscape an eerie glow. The flat ground contrasting with the jebel country behind. The flat ground on which we build our camp. I took stock of our surroundings. Within a few days dust and rock had become a proper military camp: a hive of activity. 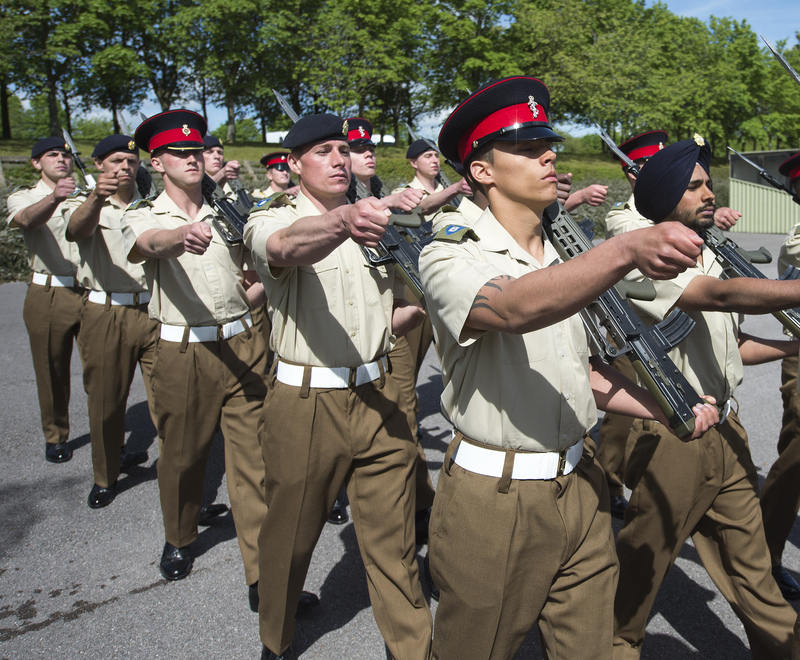 The British Military, with its ethos of hard work and good organisation, had arrived. The camp, which had begun as a linear vehicle harbour, had expanded rapidly. 18×24’ tents sprang up day and night like mushrooms. It would peak as a 1000-man base enclosed by hundreds of metres of dannert coil and barbed wire that we had erected in the oven heat, smashing in pickets before lifting the razor wire on. We built shower frames and dug out the drainage. One of the wire fences we built. By now the Royal Marines had arrived and the field kitchen, providing fresh meals, was established. We began to get some respite from the engineering tasks. Range days were started. Instructors who’d studied in the jungles of Asia taught us how to read signs and spoor left by enemy movement. 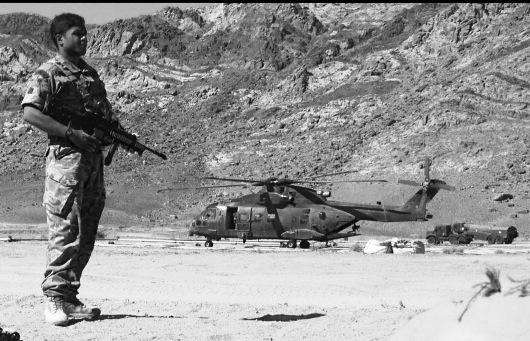 We learnt ground signs awareness, engine maintenance and vehicle recovery in a desert environment. We spent our evenings playing risk and poker by torchlight. When Arabic lessons became available I eagerly signed up, keen to expand my cultural awareness. I set upon the locals who worked on camp with my broken Gulf tongue, missing no opportunity to ask them ‘how are you?’ and greeting them with a cheery ‘peace be with you’. They soon became a lot harder to find! 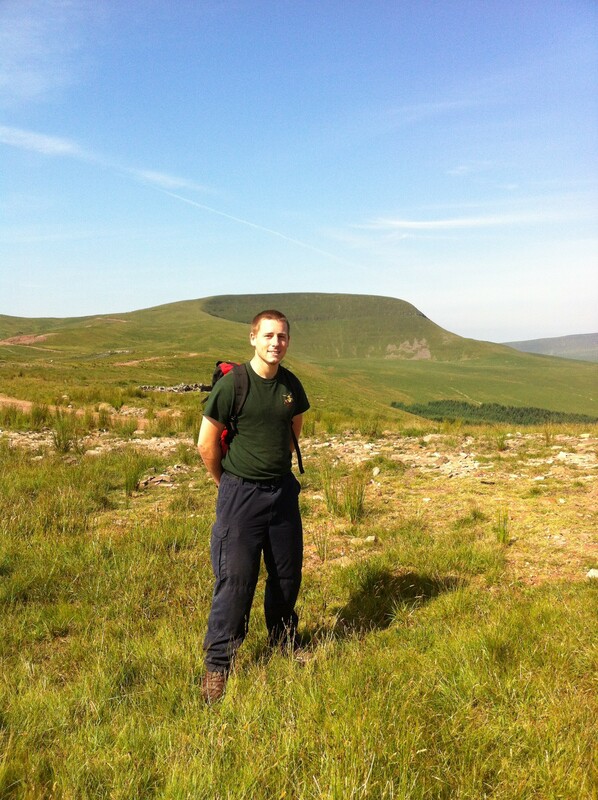 Mountain training with the mountain leaders. Taking a rest between duties. Our section provided demonstrations for medic training and mine clearance lessons. 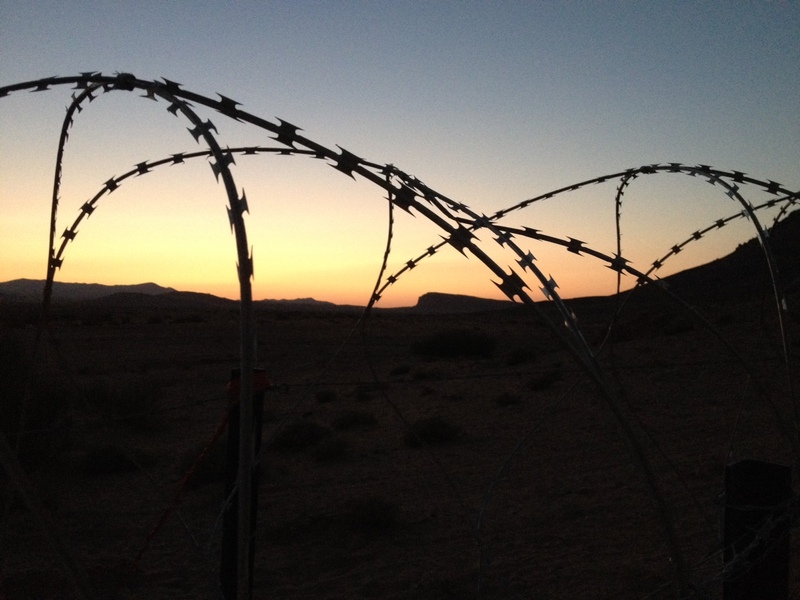 We used our own time to keep fit, venturing out into the surrounding area on long distance runs and hill reps. On one occasion we happened upon a Jordanian army training village. We sat down to rest in a bullet ridden building as the flaming sun set over the desert, an experience one does not come across often. 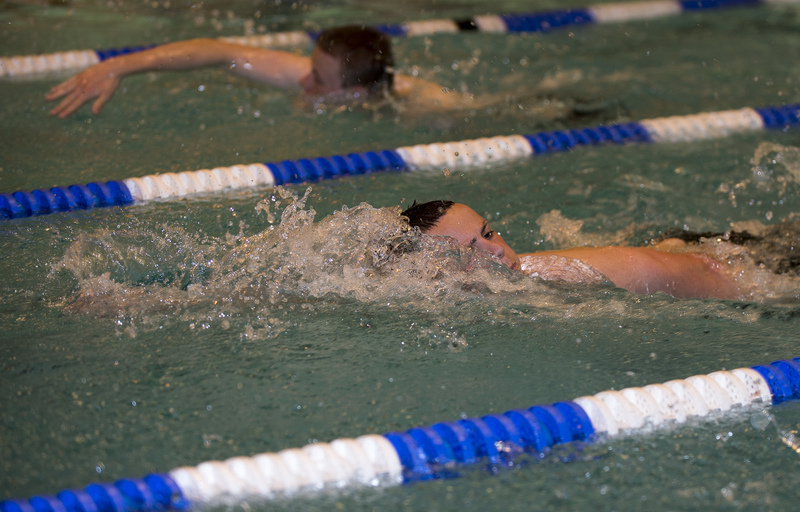 The camp held a sports afternoon before a day of operational stand down (OSD). We played games of football and volleyball, which I am duly obliged to report that my section expertly won. Then, for OSD we were taken to Petra – a city literally carved from sandstone cliffs. It was a fantastic place with monuments rising up the sides of the canyon. It began life as Nabataean tombs, and has since played host to Romans, venturesome Crusaders – and now some portly tourists. Bulk desalination and purification of water at Aqeba. The next morning we packed our kit, ready to rotate with the section manning the water point at Aqaba port. The water point, next to the crystal clear waters of the Red Sea, made a welcome change from the desert. 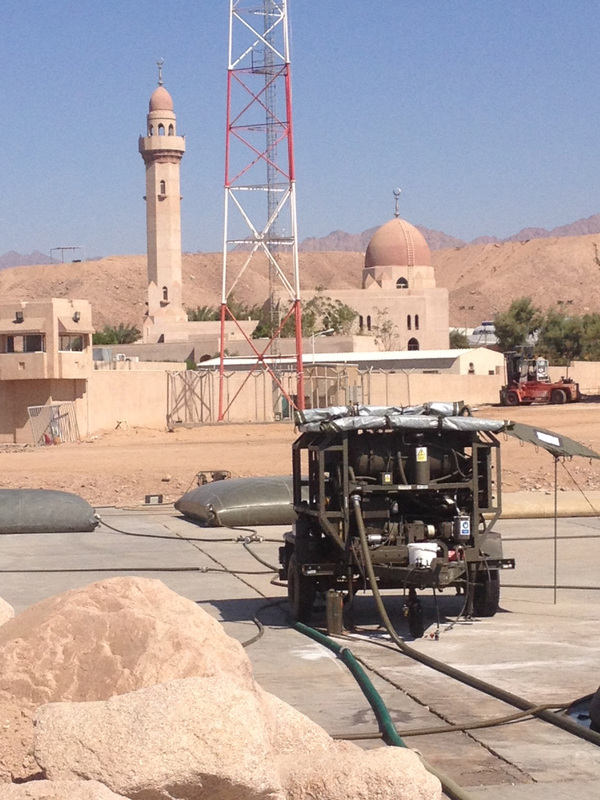 By pumping seawater through a series of filters and adding a dosed amount of chlorine we could produce potable water for the base in Al Qwarah. I spent the time between checks exercising in our makeshift gym. It passed quickly. 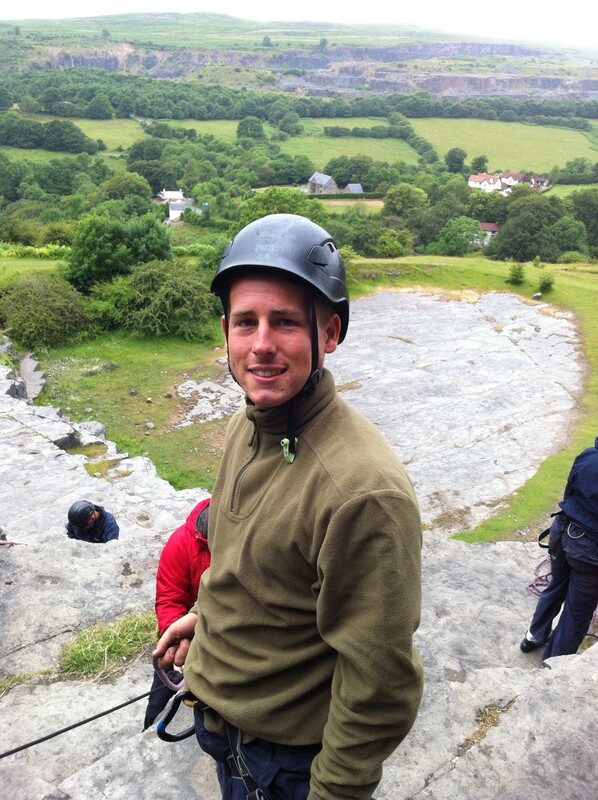 Then I was called back to participate in a vertical assault course with two fellow sappers. We were trained by mountain leaders to ascend and descend steep faces and cliffs with weapons and equipment, Commando skills we’d previously learned but which demand constant practice. We were taught how to make improvised stretchers like the clove hitch or roscoe, so that we can evacuate casualties from remote areas. 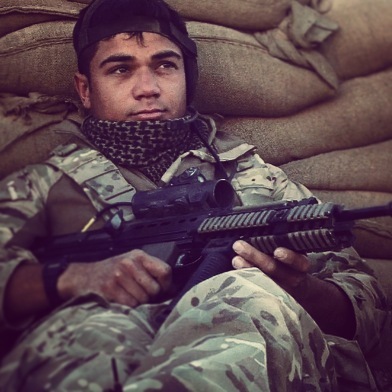 At night I could hear gunfire as 40 Commando practiced live firing in the distance. I remember sitting on a rocky outcrop waiting to abseil down the cliff, watching tracers and flares going off across the desert, lighting up the sky like fireworks. The following day we embarked upon a navigation exercise around the surrounding area, yomping up to heights of 1300 metres. At each high point we tackled section tests. Stances included judging distance, map reading and medical training that tested patient care and evacuation technique. On some evenings the cultural advisor gave us briefs on subjects such as the formation and history of the Middle East and the Arab Spring. We then moved into our second special-to-arm package that consisted mainly of demolitions and urban combat training. We spent the days practising compound clearance, advancing our skill level and using explosive charges to gain entry into otherwise difficult to attack buildings. Concentration and attention to detail were vital. Nothing compares to the feeling of a breaching charge exploding a couple of metres away from you as you prepare to assault a building. The temperature had begun to fall dramatically at night, partially due to the altitude of the camp. Our nightly showers became colder and colder. Then, our second OSD day signified the approach of the final few weeks. Our stand-down took place at a hotel in Aqaba. It’s always the simple things you miss, and we had a few hours to enjoy a resort with proper showers, porcelain toilets, and a jacuzzi on the roof. I returned to camp that night with a very much-needed haircut (I’d begun to look like some sort of Bedouin Rastafarian) and some good memories. The following days were spent building a culvert: a pipe that would redirect flash flood water from a road. Once that was done we drove an hour north, to a training camp where we worked like Trojans to build a protective fencing in what felt like record time. At night we told stories around the fire and slept beneath the stars. 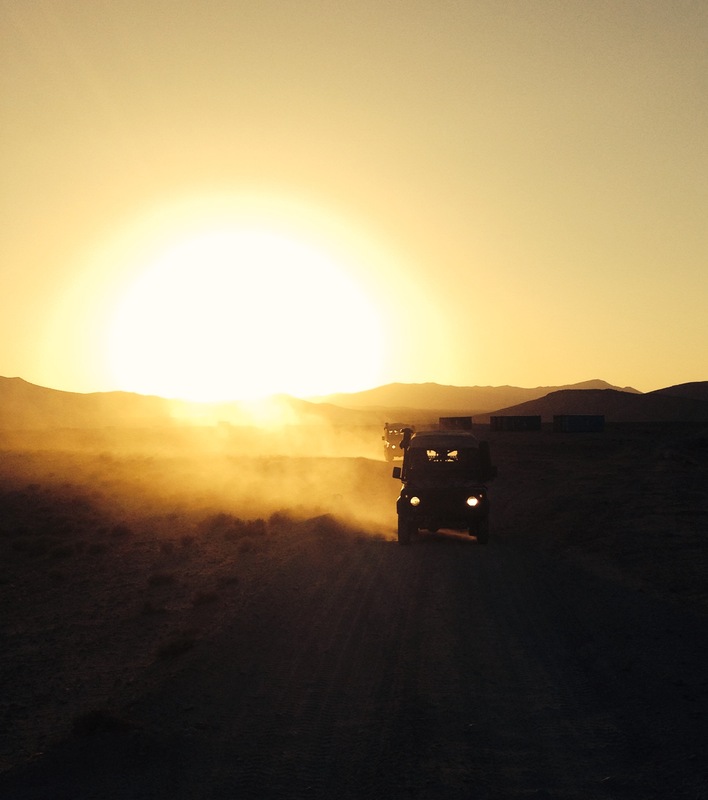 It was soon time to return to Al Quwayiyah, and as we returned in convoy we were treated to some fantastic sunset views out over the vast mountain range. After living with my fellow troops in such a close knit community I felt a sense of camaraderie with my colleagues that’s as old as military life itself. On a personal level I feel privileged to know that I have people around me in 24 Commando who I trust and respect, and whose friendship will last a lifetime. 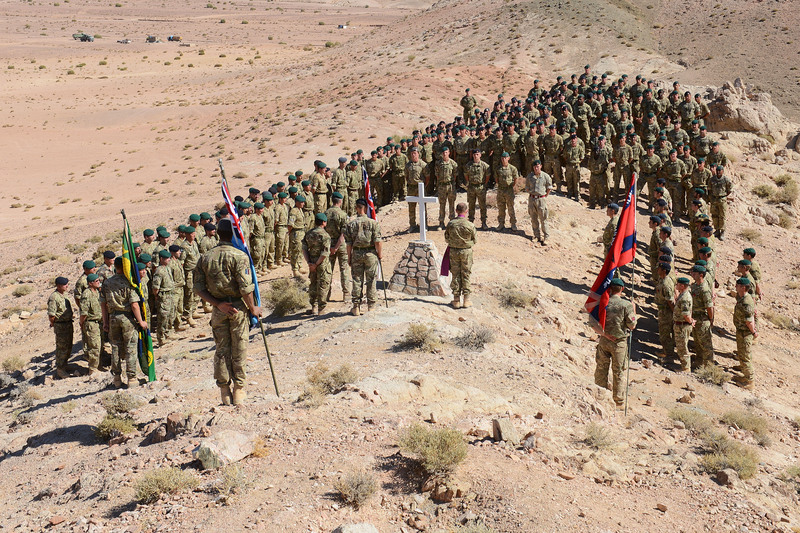 Remembrance Sunday in the Jordanian desert. On Remembrance Day we went to a nearby cairn upon which a cross had been built. The padre read sermons and the flag bearers stood proud on the higher ground. The post sounded and we took our silence. Remembrance Day parade is a time of reflection for me, the tradition, the fallen, the pride of the service and the country we serve. Around the world people were united in prayer and remembrance. Our rotation on guard arrived and we took our posts at each gate. Working the laborious ‘four hours on, four hours off’, we ensured that the security of our camp was maintained. Night passed quietly with only the occasional hound – the wraiths of the desert – to usher away as they came to root through the bins. Finally, we sat around our kit with nothing but the sand and mountains left, just as it had been when we arrived. I thought back over the many experiences I’d had. We piled on to troop carrying vehicles and headed to Titin camp near the port. There we waited for RAF transport home on the big grey bird of freedom. Hot showers, Wi-Fi and cooked meals were welcomed, as was the first proper bed in two months – even though it was a near-falling-apart bunk bed. As the hour drew closer to the flight my anticipation grew. A cold beer and the UK’s unique weather system beckoned. We got on transport to the King Hussein International Airport and the journey back began, with a 5 hour flight followed by another 4 hours by bus. Soon we were a world away from the sands and heat of Jordan and back in the familiar company of rain and grass. It had been an enthralling escapade and I was happy to be home – but I couldn’t help wondering what adventure awaited us next.